Even though South Dakota itself doesn’t immediately come to mind when most people think of American iconic outdoor experiences, this Midwestern state is actually chock-full of them—with quite a variety to boot. 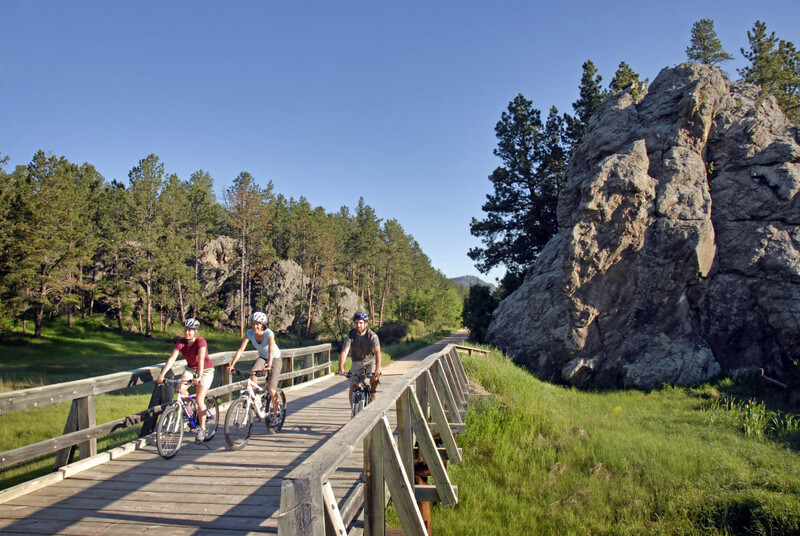 Whether you’re an adrenaline seeker looking to get your fix on a demanding cave excursion or you’re out with the whole family in tow to make memories in the great outdoors that will last a lifetime, South Dakota’s got iconic adventures for everyone. Black Elk Peak, nestled in South Dakota’s Black Hills, is the highest point in the state as well as the (sometimes disputed) highest point in the U.S. east of the Rockies. This 7,242-foot peak is famous not only for its height but also for its colorful history. 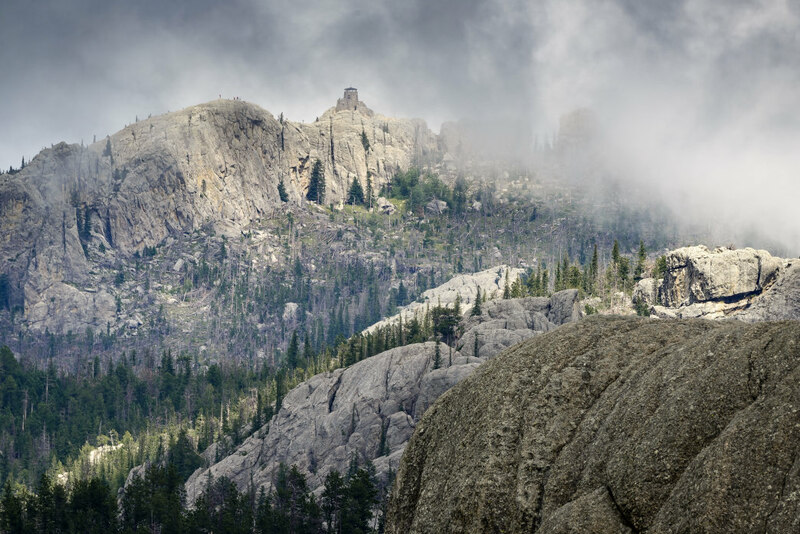 The peak was originally named “Hinhan Kaga” by the native Lakota Sioux but renamed in honor of General William S. Harney, a commander in the Black Hills in the 1870s. 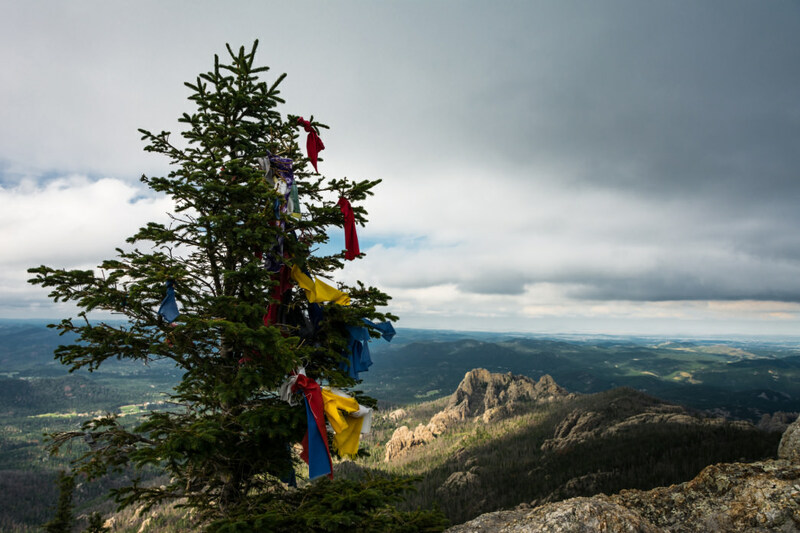 It kept that name for more than 150 years before the mountain was renamed Black Elk Peak in 2016. According to Black Elk Speaks, Black Elk’s famous vision is said to have occurred on this mountain when was just 9 years old. 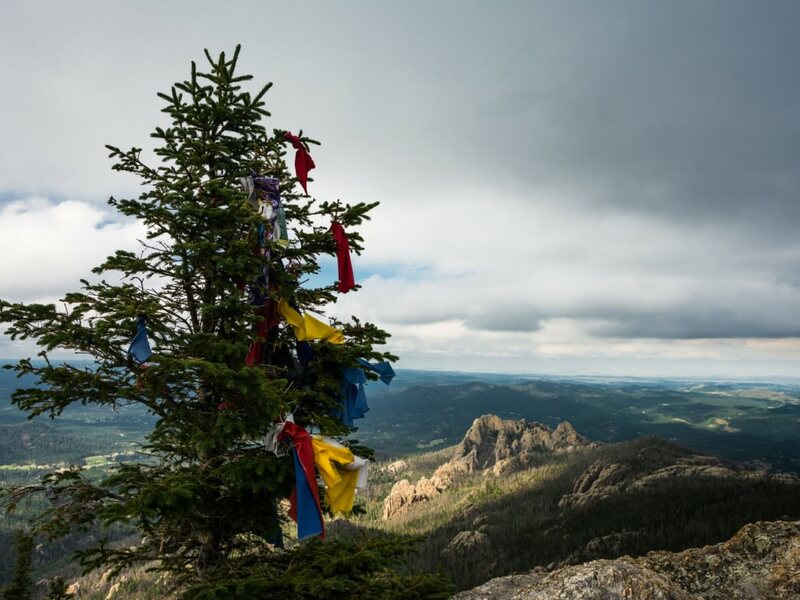 When it comes to logistics, Black Elk Peak can be accessed a few different ways including through Sylvan Lake in Custer State Park or via Mount Rushmore National Memorial, which makes it an even more attractive stop. If must-see adventures are what you’re after, both of these parks offer an extra dose of iconic outdoor locales. 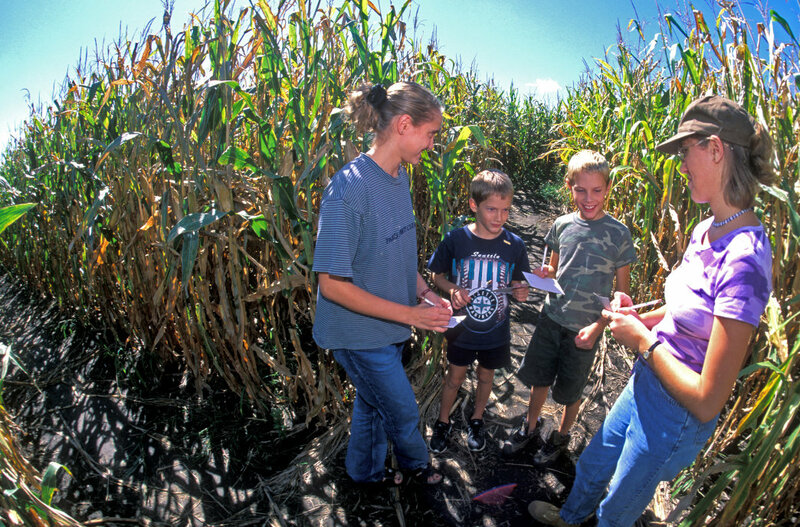 On a plot of farmland just a bit southeast of Harrisburg, South Dakota, you’ll find the Heartland Country Corn Maze, an 11-acre maze that will leave you guessing at every twist and turn. Sporting a new design each year and available for both daytime and nighttime excursions, the corn maze is a mental and physical adventure for kids of all ages. Just be sure you have cash on hand—there’s a small fee to enter and they don’t take cards. Besides winding through manuy of the most scenic parts of South Dakota, this baby has got some interesting history that highlights the exceptional level of zest that South Dakotans have for the outdoors. The trail began as an abandoned Burlington Northern train track until, in 1991, a group of enthusiasts resurrected it from its eight years of dormancy after realizing the trail’s epic potential. Because then Governor Mickelson played a key supportive role in the trail’s revitalization, it now bears his name. If you’ve got little ones with you on an icon-packed tour of South Dakota, this is an absolute must-do. Not only will you get to visit the house and land that sparked the famous Little House on the Prairie series, you’ll get to learn all about what Ingalls Wilder’s life was like first-hand. 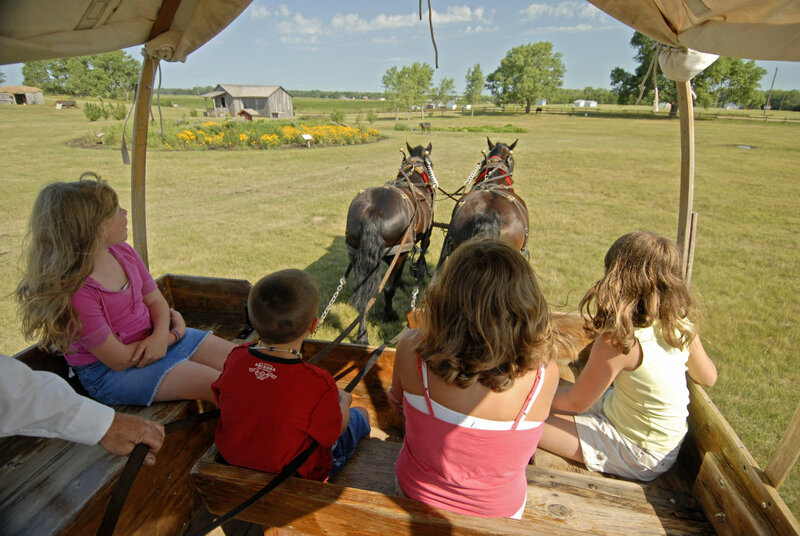 From driving covered wagons to taking a class in a historic one-room schoolhouse, lovers of these classic childhood reads will come away with an unforgettable experience. Run by a small family-owned business that lives and breathes history, the Ingalls Homestead is possibly one of the most child-friendly experiences in the state. Little ones are “encouraged to touch, feel, and try-out” everything they do, which practically ensures a boredom-free time. 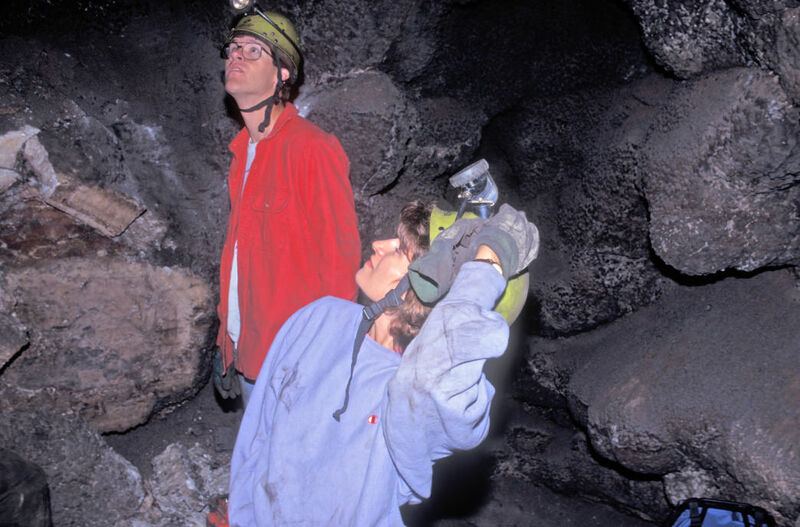 While there are a few different ways to traverse South Dakota’s Jewel Cave National Monument, the Wild Caving Tour is the most extreme way to do it. This excursion usually lasts about three or four hours and is considered to be extremely strenuous—it’s not recommended for those with a fear of heights or small spaces. While this adventure definitely isn’t for the faint of heart, it’s a once-in-a-lifetime journey through the world’s second longest cave that adrenaline junkies will be talking about for years to come. Think 40-foot rope assists along gut-wrenching dropoffs just a few feet away and squeezing through an 8.5-inch by 24-inch crawl space just to get started.